IRVINE, Calif., March 28, 2016– In the midst of the New York International Auto Show, the 2016 Kia Sedona has been named one of Autotrader's Must Test Drive Vehicles for 2016. The prestigious list is a uniquely consumer-focused showcase that highlights the top vehicles shoppers should test drive before deciding what to purchase. The recognized vehicles are chosen based on a diverse set of criteria outlined by Autotrader's editorial experts, who log thousands of miles test driving the latest cars, trucks and SUVS on the road each year. "We are excited that the Sedona was recognized by Autotrader as a Must Test Drive offering," said Orth Hedrick, vice president, product planning Kia Motors America. "With its abundant roster of standard safety, technology and convenience features, the Sedona is an ideal choice for families as well as buyers with active lifestyles. This award is a testament to Kia's continued commitment to world-class quality and top-notch design." To be selected for the Autotrader 2016 Must Test Drive accolade, consideration is only given to vehicles that car shoppers can buy at the time of the award announcement, are of the current or next model year, have a base price under $75,000 and offer a significant value for the asking price. Award winners must score no lower than a four on Autotrader's five-point scale in a variety of categories: exterior styling, interior quality, cargo capacity, included and available technology and ride quality. 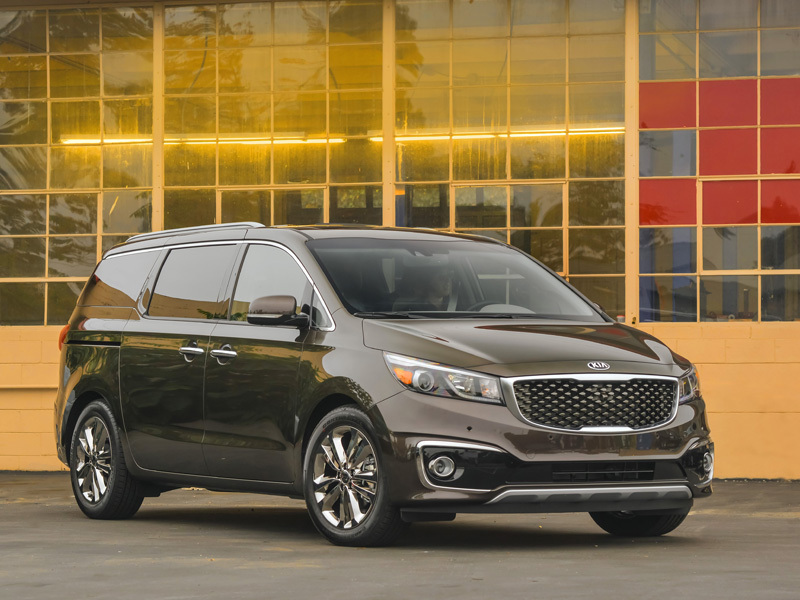 "Even though the Kia Sedona is an ultra-functional minivan, it manages to be quite stylish as well, and to our eyes, it's the best looking minivan available," said Brian Moody, executive editor of AutoTrader. "The interior textures and available colors are excellent and that is backed up with a quiet comfortable ride that feels more like a luxury sedan than a family wagon. All of our editors love the reclining second-row seats found in the SXL, and other high points that led us to our 'unexpectedly good' conclusion include a huge sunroof over the middle and third row seats plus tons of storage bins that make traveling with a family just a little easier. Useful, stylish, affordable and packed with thoughtful features at every trim level, the Kia Sedona is simply an excellent family car no matter what else you're considering."